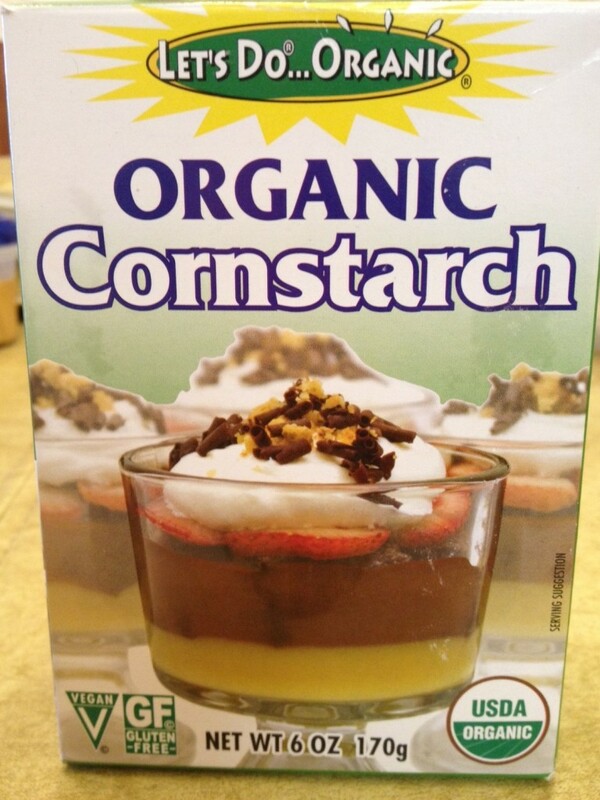 This week’s Accidentally Vegan feature is…Non-GMO Constarch by Let’s Do Organic! Have you ever thought about where your cornstarch comes from? It never crossed my mind until this week. I learned a lot, and that’s why I decided to feature non-GMO cornstarch from Let’s Do Organic. You’re probably wondering why we are discussing cornstarch. I mean, all cornstarch is vegan, right? As far as I know, that is true. I believe that all cornstarch is vegan. (If someone knows otherwise, please do comment on this article and share what you know with the community). However, even if it is technically vegan, most cornstarch is made from genetically modified corn. Yuck! My Mom and I were making a special Asian mushroom soup this week that required cornstarch, (recipe to follow soon), and I realized what a challenge it can be to find non-GMO cornstarch! As I researched this product, I was happy to learn that the Let’s Do Organic product line is part of the Edward & Sons family of brands. The Edward & Sons family of brands make some of my favorite vegan products including boulion cubes, organic brown rice crackers, and shredded coconut. I also just found this recipe for vegan cheese fondue from Vegetarian Times… oh YUM!!!! Can’t wait to try it! If you’re looking for a non-GMO cornstarch product, I found the Let’s Do Organic brand at the Whole Foods in my area. And you can also buy non-GMO cornstarch online in multi-packs through Amazon with free Super saver shipping. Kudos to Edward & Sons for their commitment to provide high quality, non-GMO products!